CERN is now accepting applications for its CERN International Internships 2019 in Switzerland. 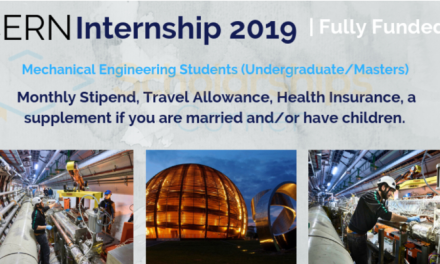 The CERN Internships 2019 are offered almost in every field of study. CERN Summer Internship Program is one of the best summer internship programs in the world. The CERN Short Term Internships are open to Undergraduate, Master or PhD students and to those who has completed bachelor degree. 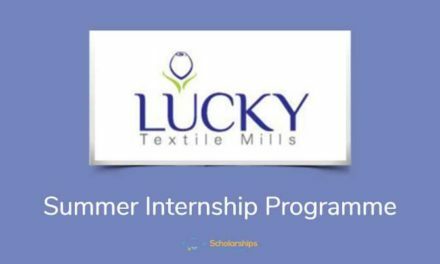 The Duration of the summer internships 2019 is different of each program. The minimum duration of the CERN Internships is 4 weeks and maximum is 12 weeks. Imagine getting selected for CERN International Internships 2019 and involved in work that is changing the world and imagine doing it before you’ve left university. Imagine working in an international environment and having a great quality of life. Put all these ingredients together to make this imagination a reality. At CERN, the European Organization for Nuclear Research, physicists and engineers are probing the fundamental structure of the universe. Using the world’s largest and most complex scientific instruments, they study the basic constituents of matter – fundamental particles that are made to collide together at close to the speed of light. The process gives physicists clues about how particles interact, and provides insights into the fundamental laws of nature. The CERN fully funded internships are available in every field of study. Mostly they are offering free internship abroad in the following fields. But you can also find internships of some other fields. Please go through all the links given below for more details. Advanced secretarial work, librarianship, Mathematics, legal services , Electronics, Mechanical or Civil engineering, Computing, instrumentation, Applied Physics, materials science, human resources, logistics, radiation protection, Electricity, surveying, ultra-high vacuum, scientific communication. Administrative fields such as: translation, Computing, accounting and safety and environmental protection. You have completed at least 18 months of Your Undergraduate studies (Bachelor or Masters). This means you are a currently an undergraduate students or master’s students. 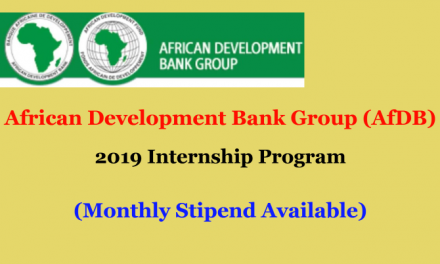 Those who complete Bachelor degree can also apply for paid internships. Few opportunities for PhD are also available. 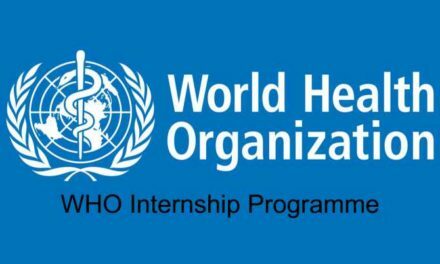 CERN International Internships 2019 are one of the best internships program in the world. There’s no better way to learn than on-the-job. When that job happens to be in a world-famous organisation and centre of scientific excellence, even better.